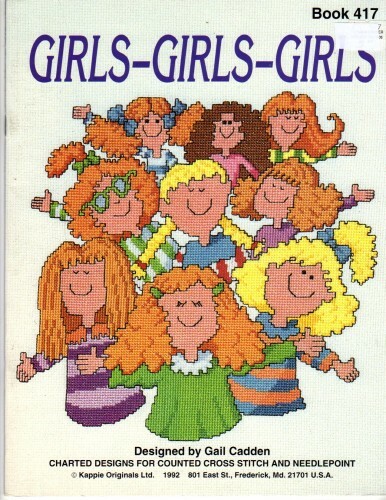 Kappie Originals Girls Girls Girls counted Cross Stitch and needlepoint Pattern booklet. Gail Cadden. Cow Girl, Hula Hoop Girls, Ballerina, Girl Collage, Cruise Ship, Chorus Line. Price tag on cover. Appears new.